Picture of a 6x6 GMC CCKW-353-2 Air Compressor truck with a Le Roi compressor unit. 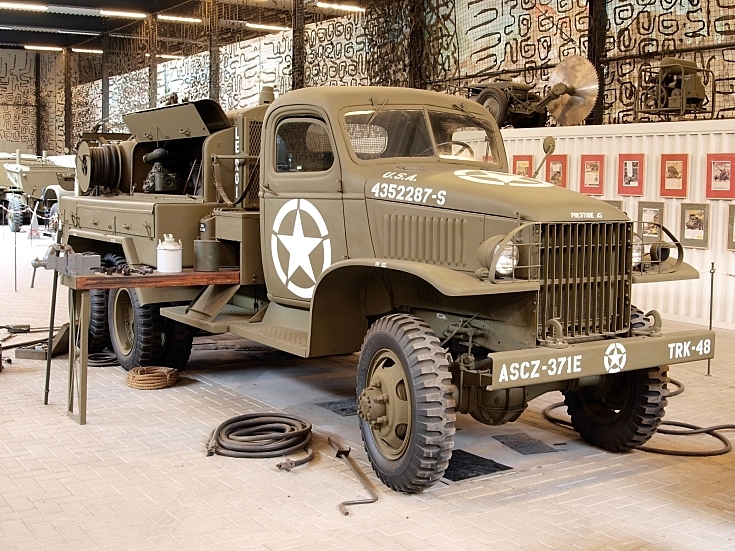 This truck was the 48th vehicle of the Truck Company (TRK-48) of the 371st Corps of Engineers (371E) of the Advanced Section of the Zone of Communication (ASCZ). U.S.Army registration number: USA 4352287-S.
Photographed at the Marshall museum, Overloon, The Netherlands. See picture #1489 also.